Reading opens up a whole new world for children…. Reading opens up a whole new world for children. It feeds their imagination and understanding of the world, gives them a better chance at succeeding in school, and invites them to learn just about anything else they want to! Here are 10 dos and don’ts for encouraging your child to become confident lifelong readers. It’s important to make sure the books they read match their reading level, and the Five Finger Rule is a quick and easy way to see if a book is suitable for your child to read on their own. Before they start, turn to a random page and ask your child to read it. For every word they don’t know, hold up a finger. If you’ve got all five fingers up, the book is most probably too advanced, and you should try a different one. Books that are too challenging may cause your child to become frustrated, skip parts, or fail to understand what happened. Worse still, it may discourage them from reading altogether. If your child insists on reading a particular book you know may be too challenging for them, give them some help or read along with them. As we all know children often pay more attention to what we do rather than we say, so let your child see you regularly enjoying a good read. While reading aloud, try out different voices for different characters to bring the story to life and show them how much fun you’re having reading to them. For example, ‘If you do your reading you can watch TV for a bit’, or ‘If you don’t clean your room, there’ll be no story for you tonight!’ It may be tempting, but it’s always a bad idea to associate reading with any incentive other than learning and having fun. What subjects intrigue or excite your child? Make sure they will be genuinely interested in reading the books you choose by selecting ones that reflect their interests and hobbies, or let them choose books on their own. Take them to the local library and let them browse different books – they will be more inclined to want to read if it is something they have chosen. Choosing books that don’t appeal to your child’s interests may cause them to develop a negative attitude towards reading in general. If you really want them to read a book they are reluctant about it, expose them to other things that might get them interested. For example, if it’s a book about trains, visit the train station or let them play with a train set beforehand. Education experts agree that parents should try and read with their child every day. If that isn’t possible, as a minimum, try and read to them at least 4 times per week. You can designate a special time after school when your child can read without interruptions. It’s also a great way to get them in the habit or incorporating reading as a part of their normal daily routine. If you have an endless checklist of chores and errands running through your head, your attention won’t be focused, and your child is likely to pick up on it too. Make sure you dedicate enough time to discuss the story with your child and to answer all of their questions when you’re in a calm and relaxed headspace. One of the most commonly held myths about reading instruction is that learning to read is natural and comes fairly easily. This can lead many parents to think that their child is struggling. Remember that all children learn to read at their own pace, and if you have any real concerns, make sure to speak to a professional. There are a range of things that can cause children to disengage with reading, such as reading difficulties and a fear of being made fun of. The first step to overcoming the assumption that your child simply hates to read is to identify the cause. Are the books your child is reading too boring or too challenging for them? At what point in the book does your child give up and become frustrated? Once you have identified the root cause, it will become easier to address them problem. ABC Reading Eggs is the multi-award winning online reading program that makes learning to read fun and motivational for children aged 3-13. 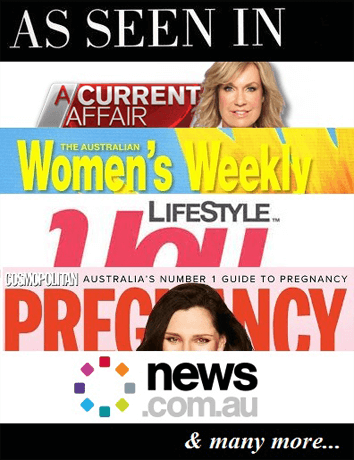 Right now, Single Parent Australia readers like you can try an exclusive FREE 4 week trial at www.readingeggs.com.au/sparent.